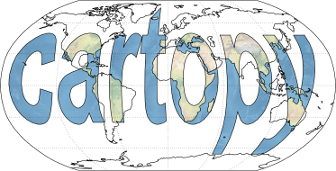 Demonstrates cartopy’s ability to draw map tiles which are downloaded on demand from the Stamen tile server. Internally these tiles are then combined into a single image and displayed in the cartopy GeoAxes. # Create a Stamen terrain background instance. # Create a GeoAxes in the tile's projection. # Limit the extent of the map to a small longitude/latitude range. # Add the Stamen data at zoom level 8. 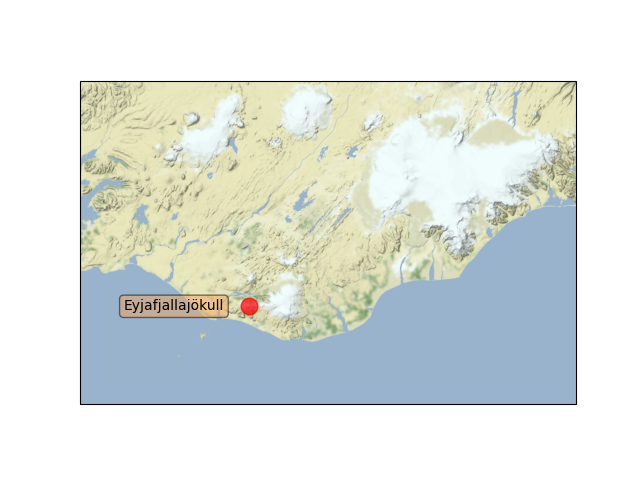 # Add a marker for the Eyjafjallajökull volcano. # translates the text by 25 pixels to the left. # Add text 25 pixels to the left of the volcano.